Dialogue with My Body: Dialogue between philosophers and I, who is doing yoga. Dialogue between philosophers and I, who is doing yoga. Last summer, I’ve gotten a license of yoga instructor. 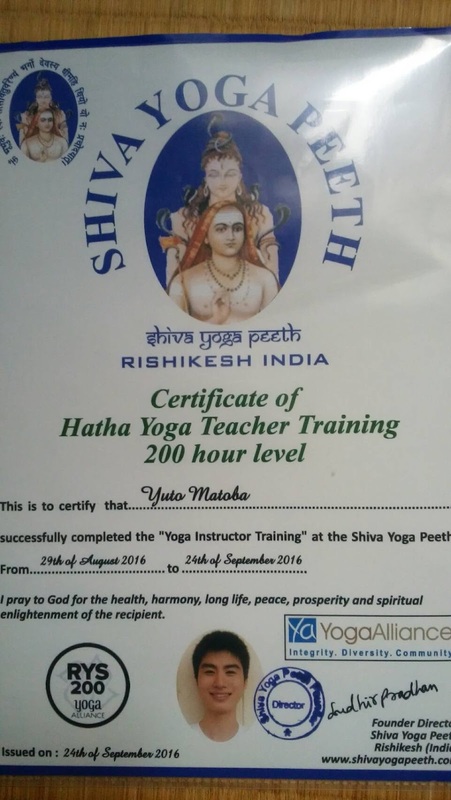 What is the meaning of “having a license” of yoga? I think license is the farthest from the heart of yoga. The existence itself is full of contradiction. The license gives us a kind of “guarantee”. Guarantee that you can teach yoga. However, yoga is not what we can get such a guarantee. Guarantee that we can feel at ease with specific thing is farthest from yoga. Yoga is an only process that we care about our “own” body and mind. This is, in a sense, a kind characteristic of yoga. If you go to Zen temple, you will be just told “just sit in silence”. This “unkindness” is very different from yoga. This “kindness” of yoga, however, is plenty of traps in another way. We usually misunderstand that yoga gives us a way that we can follow. In reality, we have no choice but to make the way by ourselves. Practicing yoga is not following a methodology named yoga. Practicing yoga is not wearing shoes named yoga, but making shoes suitable for each of us. If you are bound the rules of yoga, it is farthest from yoga. Therefore, we cannot be qualified by license. Even if you find a specific methodology, you cannot feel at ease by it. Strictly speaking, it is impossible to teach yoga. We cannot learn philosophy. We can only learn to philosophize. We cannot learn yoga. We can only learn to do yoga. Formally, I can stand a position to teach yoga thanks to the license, but I cannot teach yoga. I cannot “learn yoga” by others as well. If anything, we can learn the “attitude” to do yoga humbly. We usually seek some methodologies so that we can feel at ease by following it. However, this attitude is an abandonment of liberty and becoming “slavery” of methodology that someone else made. Discard methodologies and live by yourself! Overcome “weakness” to seek something to follow and be strong! I practice yoga to make me free.